If you want, you can use our logo for QSL-cards or something else absolutely free. You can download our logo in different versions on the link below. Just click the desired link and enter your actual e-mail address in the pop-up window. Link to download file comes to your e-mail box in a few minutes. 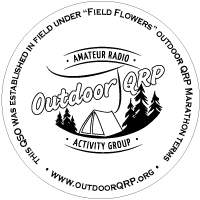 One of the variants to use of the logo on the QSL-cards was offered by our participants. This is round sticker for QSL-card for 3 cm diameter. Different versions of the sticker can also be downloaded on the links below. QSL-sticker in vector Adobe Illustrator CS6 format. Archieve includes vector, all PNG, colored sample and font file. 8 files in total.